We were delighted to attend, and be involved in, the 2nd Skipton Business Awards ceremony – which took place on Thursday 22nd March. The awards – which launched (with great success) last year – took place at the Rendezvous Hotel. The room was full to capacity with over 230 attendees – all keen to celebrate the great businesses our area has to offer! 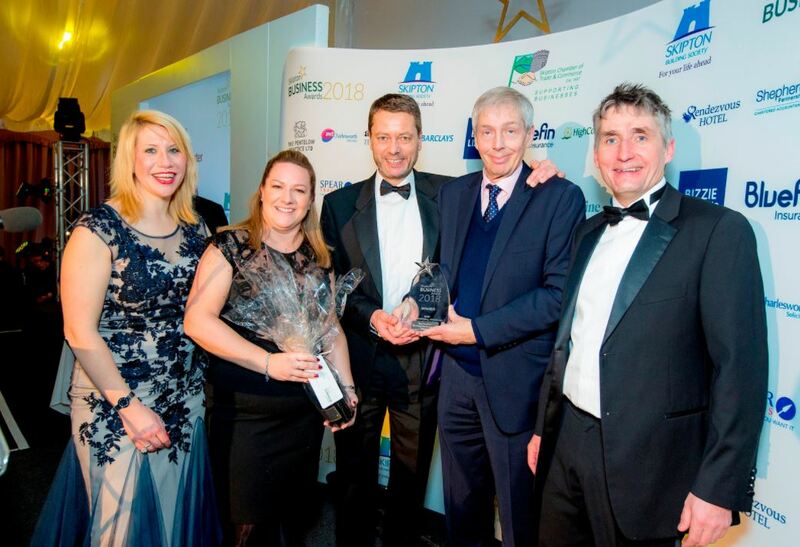 We sponsored the Best Professional/Financial Services Business award… and we’d like to say “HUGE congratulations!” to the winners of the category, Walker Foster Solicitors! The event was a triumph – expertly coordinated by Wendy Lawson of Skipton Chamber of Trade & Commerce. Here’s to many more years of the Skipton Business Awards. Picture credit: Stephen Garnett (who was the official photographer at the event).